Learn how to find freedom with this practical online course on seeing how you get hooked. We all know what it’s like to be triggered—to have said something we wish we hadn’t, or reacted in a way that wasn’t helpful. What if there was a way to interrupt our knee-jerk responses? Bestselling author and American Buddhist nun Pema Chödrön offers a liberating teaching called shenpa for disarming reactivity, and offers tools for putting it to work in our own lives. Pema Chödrön offers six video sessions of insights, stories, and practices for incorporating the Tibetan Buddhist teachings of shenpa into your life. Glenna Olmsted, senior student of Tsoknyi Rinpoche and Pema Chödrön, leads two video Q&A with participants from the live course. The entire program of The Freedom to Choose Something Different is yours to keep and enjoy. 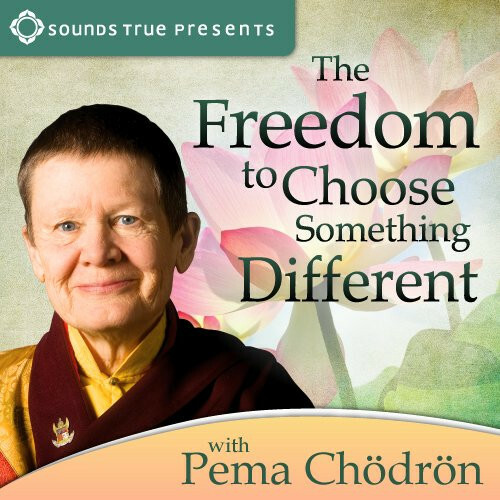 In The Freedom to Choose Something Different, Pema Chödrön shares the liberating wisdom of an approach that she uses in her personal daily practice, along with tools for putting it to work in our own lives. Join her for six online sessions of video teachings and two recorded Q&A video sessions with Glenna Olmsted, senior student of Tsoknyi Rinpoche and Pema Chödrön. This complete learning experience includes practice tips, reflection questions, and guided meditations for learning how to recognize the moment-by-moment choice points in our lives. Note: The previous release of this course was titled Getting Unstuck: The Freedom to Choose Something Different.